Axiomatic offer the latest industry leading automated people counting equipment to accurately and consistently measure passenger and visitor footfall in transport hubs. 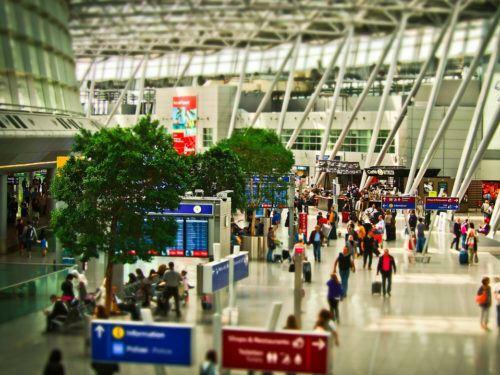 Data from automatic passenger counting systems can help you assess the impact of changes and improvements to your station or terminal, or indicate where improvements to passenger movement are necessary. Customer metrics, such a visitor numbers and footfall, allow operators to inform retailers and service providers of proven increases in passenger numbers. Footfall Data from automated people counting hardware and software can help you identify the effects of changes and improvements to your passenger hub, or highlight where improvements to passenger flow are necessary. East Midlands Airport is currently using Axiomatic Brickstream 2200 cameras to count passengers at three key points in the departing passenger’s journey; entering the check in hall, entry to security and exit of security.